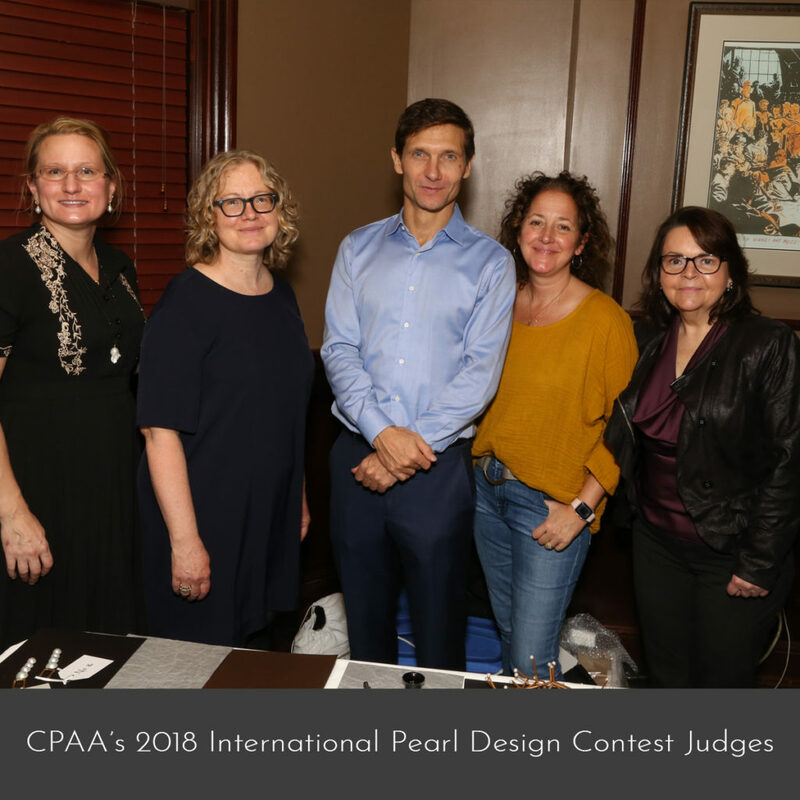 During the CPAA 2018 International Pearl Design Competition, the Cultured Pearl Association of America awarded Adam Neeley’s Rivoli Earrings their “President’s Trophy,” the competition’s most prestigious recognition. 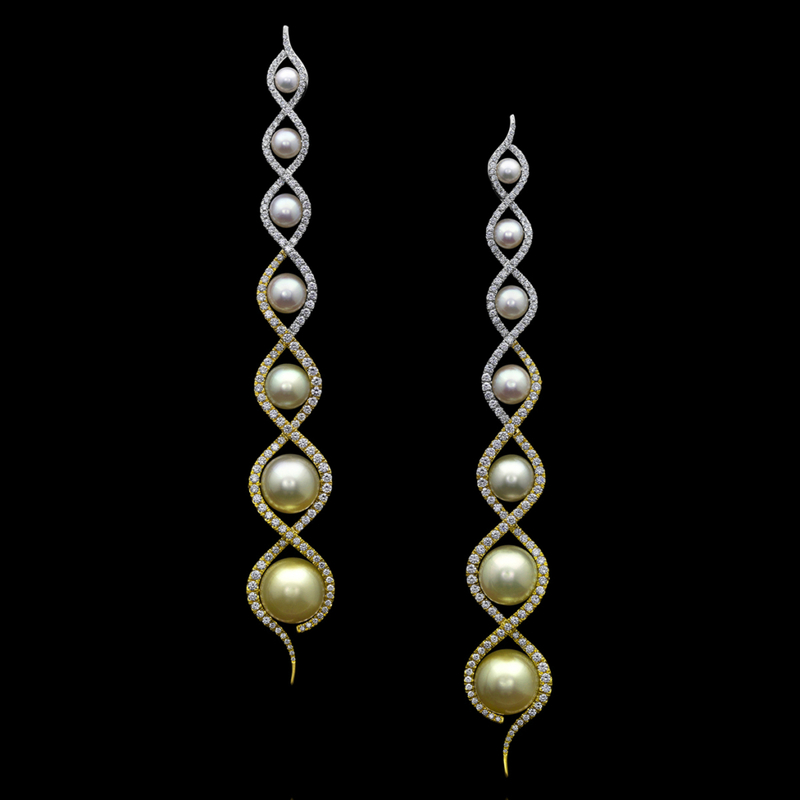 In the same competition, Rivoli Earrings were also awarded the “Wedding Day Pearls” honor. Inspired by nature’s beauty and the eternal curves of flowing water, the Rivoli Earrings showcase matching suites of white Akoya and golden South Sea pearls. An array of pearls spans each earring’s dramatic 5-inch length, beginning with petite white Akoya pearls and transitioning into larger, golden South Sea pearls. 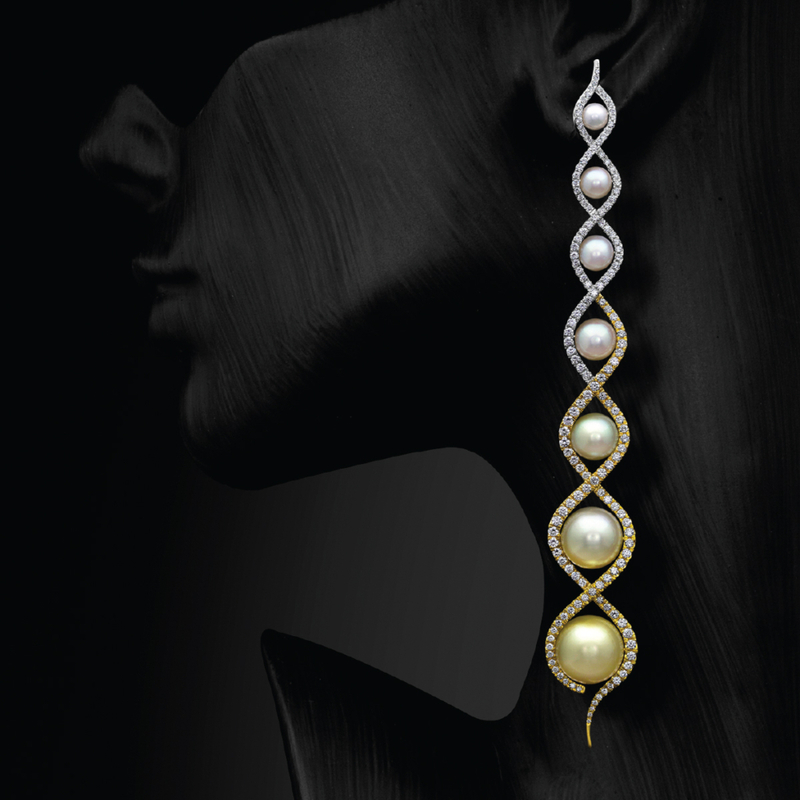 To compliment the color gradient of the pearls, the design is crafted in multiple tones of gold: cascading 14kt white gold, 14kt yellow gold, 18kt yellow, and 22kt yellow gold. Hidden hinges were engineered to allow each pearl section to gracefully articulate. The pair is finished with 324 pavé set diamonds totaling 4.45 carats, illuminating the design. 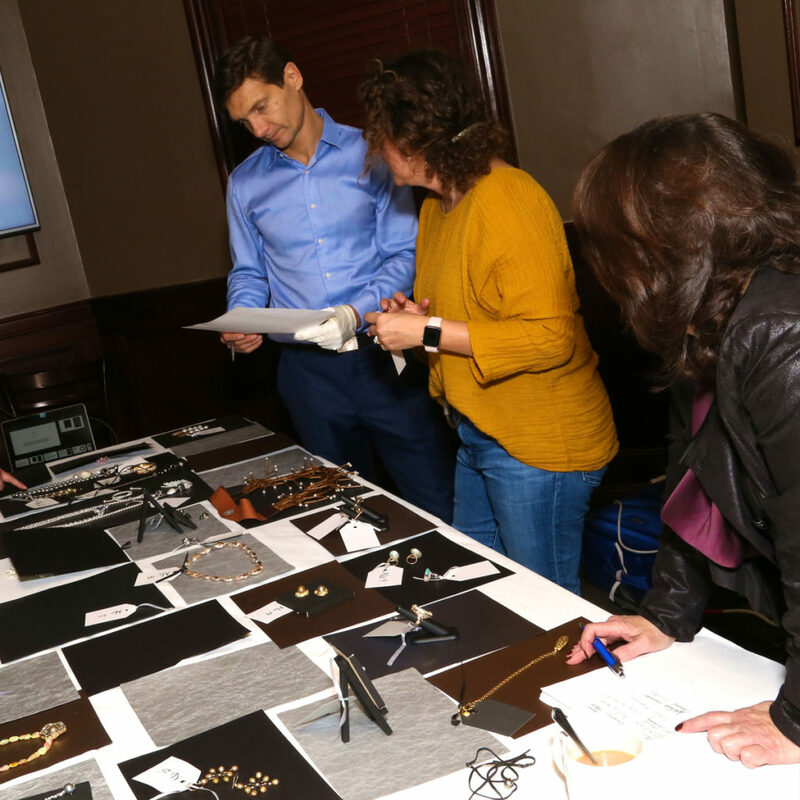 Contest Judges, pictured above, were Tara Silberberg of The Clay Pot, Jean Francois Bibet, of Cartier, and Cheryl Kremkow, Editor and Brand Consultant.